All lessons are tailor-made to the ability and experience of the rider. We currently only offer private lessons and have limited spaces. Students 8 years old through to adult start with preparatory lessons. From 8 to 80, beginners or returning to riding, this is our starting point. From the very beginning, students are taught to start recognizing how a horse communicates. This skill is developed continuously & alongside a student’s other learning. Incorporates Natural Horsemanship right from the start. Any age is a good age to start riding! These very happy riders had never ridden before coming to Giddy Up GGs. Learn the different types of saddles & how to place them correctly. Once a rider is confident doing all these things, they will come before their lesson to prepare the horse for their lesson. The amount of lessons required to get to this point depends on the age, confidence and prior experience of the student. For a complete beginner with a typical level of confidence, the average is 6-8 lessons to achieve all these things. Once a rider has finished this process, they come before their lesson & get their own horse ready. This takes most people who are still new to it all about an hour. After the lesson it is the riders responsibility to unsaddle & make sure all their horses grooming, feeding and water and any other requirements are met. Beginner riders learn to develop the skills that they learnt in their preparatory lessons- to gain more control & confidence, to master the rising trot & the correct position, to gradually increase the size area they ride in & to learn to ride with other riders. As confidence and ability grows, riders start to learn things like cantering, riding in open areas, correct diagonals & canter leads. Their ground skills are progressed to include the Parelli 7 Games. Developing a young horse & rehabilitating rescues can also introduced at this level, normally in theory & on the ground. Riders learn to start being aware of what the horse is doing with his body & correcting & softening the blocks & braces. Lateral work is introduced around this time. Once a rider is able to walk, trot & canter & bring the horse back down through the paces again without using the reins, contact is introduced. The horses naturally carry themselves in self carriage & a soft frame when the rider finds their own soft contact. This is for those that have ‘been there, done that, but not for a while’. No matter how long it has been, we will get you back and happening again! Then you can choose to progress further, if that is what you desire! As our riders advance, so do the skills taught to them. As always, lessons are tailored to each riders individual needs. We start to look at correct collection & posture of the horses, how we influence that through our own posture & balance & core stability. We develop further the riders understanding of correct flexion throughout the horses whole body. We continue developing the ability to use the reins to only tell the horse where we want to position the head & our body, seat, legs, focus & energy tells the horses own body & legs what to do. Lateral work gets much more accurate & with steeper angles. We regularly have young riders. 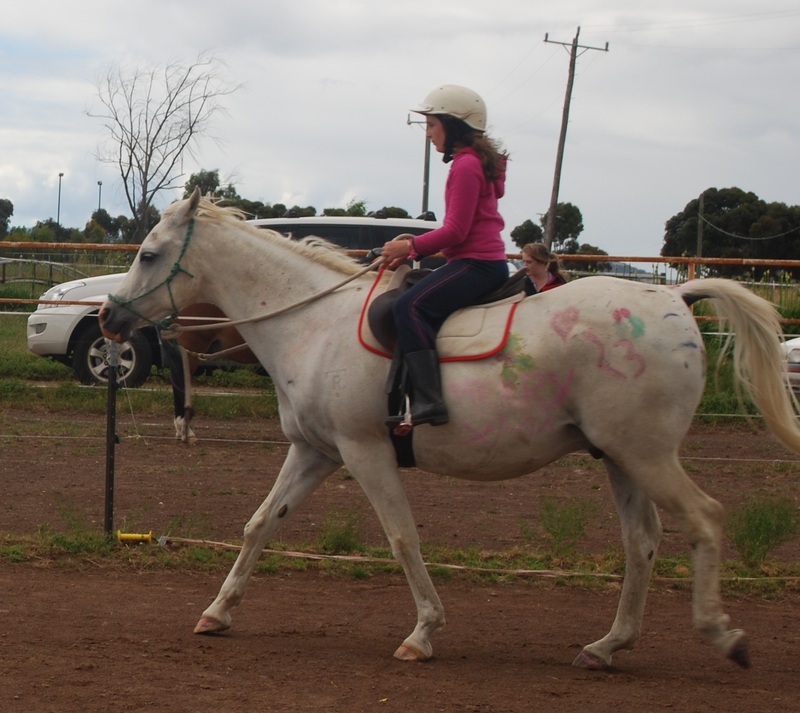 For our younger riders, lessons are kept to half an hour and the pony is prepared for them. There is another option where we teach the child with the parent. 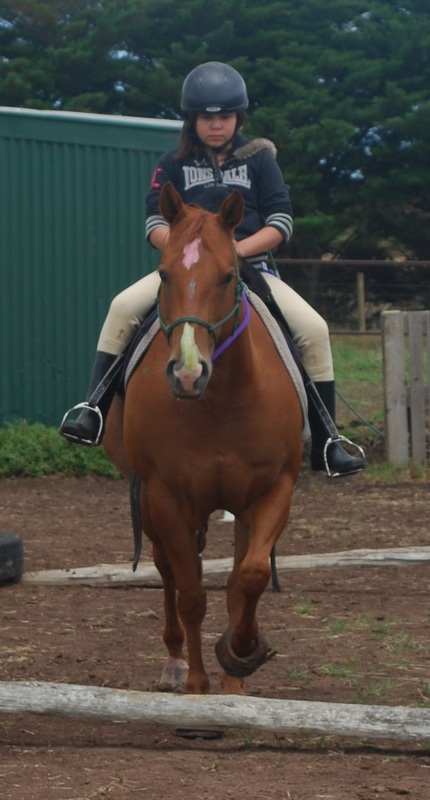 The parent is taught the Preparatory Lessons with the young rider involved. If the parent is up for it, they lead their child during the lesson. There is a lot of walking & a bit of slow jogging involved for the parent that chooses this option & the ability to walk backwards is definitely beneficial! If this is the case, the lesson can be a half or a full hour and may be possible to join another rider to share the lesson.